Hello everybody, we are back today with a special idea for you to crochet. At this time it is a lovely hat pattern. Look at this pattern and ask yourself, can you crochet something more thematic for this autumn than this amazing hat, probably the answer will be – no. 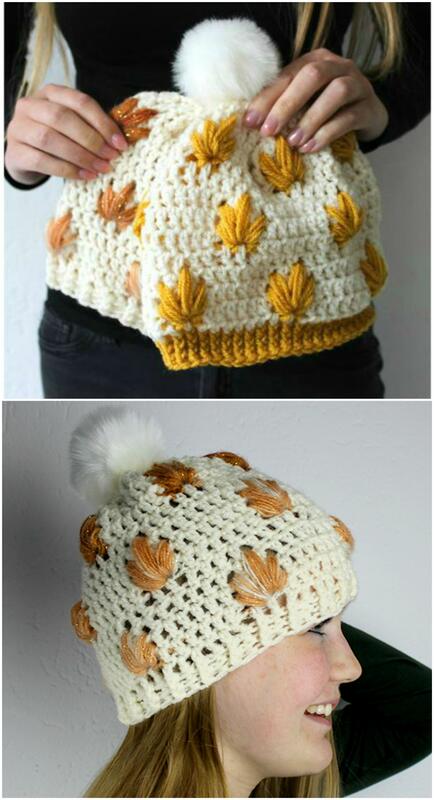 This leaves and its colors make this hat the most thematic items for this season. This pattern is full and you will not have any problems while working on it. Special thanks to the author of this pattern, you can also look around this blog and see many interesting ideas about crochet, knitting and design, wish you all the best!